Located between Athlone and Mullingar, the Hill of Uisneach is a place for those interested in mythology. It was the ancient seat of the Kings of Meath but its historical roots go back to the La Tene period of the Iron Age. One of the legends of the site is that Saint Brigid received the veil from Saint Patrick here. According to Discover Ireland, “Around and on top of the hill are the remains of circular enclosures, barrows, cairns, a holy well and two ancient roads, ring forts and tumuli. The most famous feature of this series is the Cat Stone of the Hill of Uisneach — so named because it resembles a cat watching a mouse. Amenities: There are parking facilities, toilets and refreshments available. The site is accessible to wheelchair users on request. Opening hours and costs: There is an expected donation of €10 per adult, tours take place from Wednesday-Saturday at 1pm. St Fechin founded a Christian monastery on site here in the seventh century. At the ruins, visitors can see a church that was built in 900 and there is a looped walk signposted around the area. Amenities: There is no wheelchair access to the site but there is access to the looped walk. There are toilets and cafés nearby. Opening hours and costs: The site is FREE to visit and remains open daily. The first stone castle was built here in 1210 but the one that survives today was constructed in the 18th and 19th centuries. Original artefacts are held within the museum and there is an interactive visitors centre on site. Amenities: Wheelchair access is available on request and there is parking as well as toilet facilities. Opening hours and costs: The castle is open Monday-Saturday 10am-6pm and Sundays 11am-6pm. Entry is priced at €8 per adult, €6 for students/seniors, children over four €4, family tickets €20-25. Belvedere House was first constructed in the 13th century and was in the possession of the Rochfort family. Family history of the estate recalls how the first Earl, Robert Rochfort, imprisoned his wife Mary Molesworth for 31 years after hearing a rumour of infidelity. He then built what became known as the Jealous Wall to block his wife’s view to other houses across from theirs. Visitors can hear more stories of the house and its occupants and explore the gardens and the woodland walks in the park. Amenities: The gardens are the only accessible area to wheelchair users, there is a restaurant, gift shop, children’s playground and parking. Opening hours and costs: The gardens are open daily from 9.30am-8pm and the house closes at 5pm. A day admission ticket is €8 per adult, child €4, senior/student €6 and family €20. The castle here dates back to the 1650s and it was occupied for over 350 years by the Pakenham family, the later earls of Longford. Overlooking lough Derravaragh, the castle is associated with the mythical lake and the children of Lir. There are walled and woodland gardens which include a children’s treasure trail and there are ornamental lakes on the site. Amenities: There are tearooms, toilet facilities and parking. The castle is wheelchair accessible on request but some of the gardens do not have access. Opening hours and costs: The castle grounds are open Thursday-Sunday and bank holidays 11am-5pm. Entry to the tour and garden is €7 per adult, children over five €3 and family tickets €18. Thanks to Westmeath County Council heritage officer Melanie McQuade for her recommendations. Email “Your summer in Ireland: 5 must-see sites in Westmeath”. 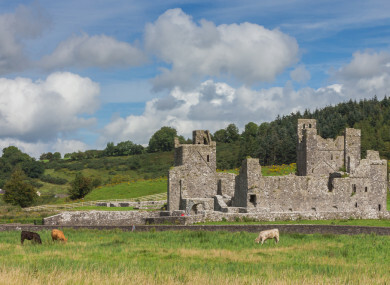 Feedback on “Your summer in Ireland: 5 must-see sites in Westmeath”.